USED STYLI NEEDLE MAY NEED REPLACING. Stanton Trackmaster 2 Sk Pair Plus Carry case. Condition is Used but perfect working order. carry case available to protect the cartridges when needed. Perfect for DJs. Dispatched with Royal Mail 1st Class. D5107A, D5107AL, D5105AA, D500AL MKII. Also suitable for. 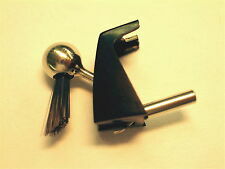 Stanton groove master groovemaster stylus and cartridge model GII-RM. Looks brand new. I've never used it so can't comment on condition other than cosmetic or lifespan. stanton DM2 cartridge And Stylus. Condition is Used but in great condition and full working order. 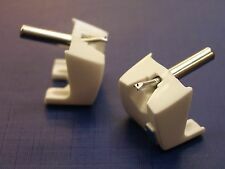 Pair of KYOWA Styli Suitable for Stanton D5107A, D5107AL, D5105AA, D500AL MKII. D5107A, D5107AL, D5105AA, D500AL MKII. Also suitable for Order information. 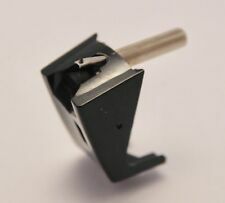 New listingGenuine Technics Headshell Stanton 500 Cart & Stylus!!! 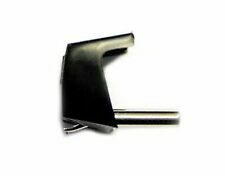 Genuine Stanton N500S replacement stylus for Technics 1200/1210. Brand new, opened but unused as bought in error. Boxed Pair of these superb needles from Stanton with the original packaging and spare 4g weights. Fully working and in superb condition. Supplied with slider knob, original fitting plate & screws. Excellent condition & perfect working order. Models 500A, 500AA, 500AL, 500AL Mk2, 500E, 505SK, 505SK2, 520SK. 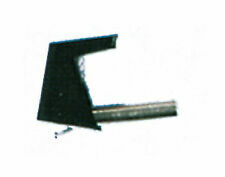 Stylus manufactured by Kyowa. Authorised dealers - full technical support. Online since 1997. 9am-6pm, Mon-Sat. DVDs, films & TV. Compatible Models T62, T92, T55. Stanton Counterweight (T.62, T.92, T.55). Professional Installation Required No. They are as close if not better than the originals. This is the great glow in the dark version. STANTON M.207 AUDIO MIXER, COMPLETE POWER SUPPLY UNIT / BOTTOM CASING. Models 500A, 500AA, 500AL, 500AL Mk2, 500E, 505SK, 505SK2, 520SK. Stylus manufactured by Kyowa. 9am-6pm, Mon-Sat. DVDs, films & TV. STANTON M.207 AUDIO MIXER, COMPLETE FRONT CONTROL PANEL. 500A, E & AL 505SK 520SK &. Stanton Needle. 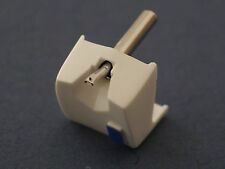 Stylus target lamp for Stanton T.62, T.92, T.55 USB or T.52 turntables. Stanton Stylus Target Light (Grey). Compatible Models Stanton T.62, T.92, T.55 USB or T.52. Why people choose Bop DJ. ST LIGS00001. Models 500A, 500AA, 500AL, 500AL Mk2, 500E, 505SK, 505SK2, 520SK. MORE USEFUL INFORMATION. Need it fast?. Authorised UK dealer for. Why use us?. Great New Stylus Cleaner Kit as seen. Kit includes cleaning fluid and brush. Improves sound quality and reduces wear on vinyl. Stanton 680ee Cartridge Stylus And HeadShell All In great Condition! Sounds good! is Used. Dispatched with Royal Mail 1st Class. Item condition: • used, v.g.c • fully working order *available: 2 *sold without overhang gauge Includes: • 1 x Technics Headshell Genuine with weight 3g Stanton 505 & stylus 5100-SK II * all photos are from actual product, you will receive what you see in photos. 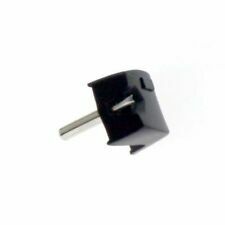 This Aluminum Finish Adapter A Perfect Fit For Technics SL 1200 Series & Most Professional Turntables. Precision Crafted From Hi Grade Aluminum. Back Side Is Recessed To Fit All Technics & Other Turntables Models. STANTON M.207 AUDIO MIXER, GLOSS BLACK & GREY TOP PLATE. Original gloss Black & Grey faceplate for the M.207 audio mixer, complete with fitting screws. 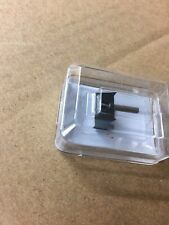 Used Stanton VC-1 Brush Holder only as pictured.